Trading Post Northwest wants to know “are you a gamer”? Do you have a close relationship to a gamer, do you have a child who is a gamer? If you ever watch television you have at least heard of the Xbox 360. By some, it is considered the greatest gaming console on the market today. Yet, others are still in love with their Play stations and will remain faithful to them forever. As we began shopping around wondering what Consoles and Games would be popular this year (to purchase for our inventory) one thing became perfectly clear there is a ton of options out there and just as many opinions. We found this quick post online that I think sums it up in true “GAMER” fashion. 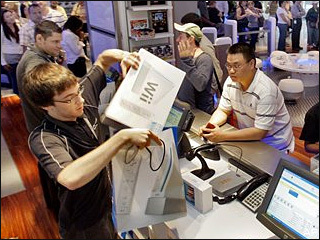 In a perfect world, determining which new game console to purchase would be out of your hands. Instead the matter would be handled Thunderdome style: Two beefy consoles enter the arena, they battle, and one console is left standing. But since such combat would inevitably lead to the enslavement of mankind by a superrace of cyborg overlords, it’s probably best to figure it out for yourself. So instead of trying to out guess the market we began early in the year to buy and trade for all Consoles and Games. 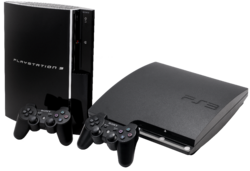 If you Are you shopping for a Game Console, like a PS3, PS2, PSP, Nintendo Wii, DS, or an Xbox 360 or just looking about for games to use on your console. Before you go out and spend way to much, give us a call and see if we may have what you are looking for. We have been buying and trading games and consoles preparing for this time of year. We have over 500 games in stock and a mixed assortment of the consoles and accessories available. Trading Post Northwest "Pawn & Loan"
Trading Post Northwest 2305C Portland Rd.